“I was walking by his room and the door was open. He was standing there, looking in the mirror with his shirt off, staring at the scar running up the middle of his chest. He was just standing there crying. I said to him, ‘What’s wrong? What’s wrong? 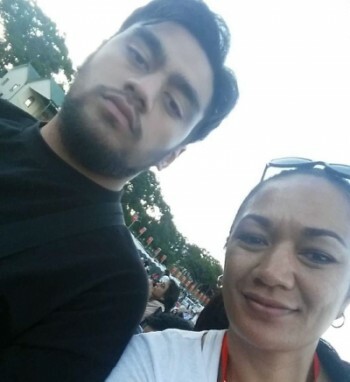 I can’t do anything to help if you won’t tell me what’s wrong with you.’ He said, ‘I hate the way I look, I hate this scar,’” said Kaye Panuve, recalling a time not so long ago she came across her distraught son, Vili, in his bedroom. Vili Panuve is a 19-year-old of Tongan and Cook Islander descent. 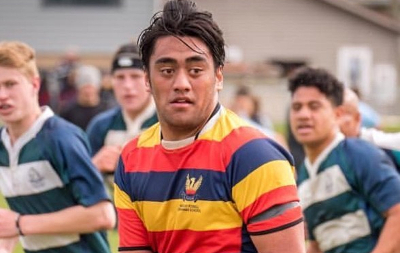 Like many kids who grow up playing rugby, he lived and breathed the sport, and dreamed of playing professionally. “He’s not a vain kid; he was just broken up because he couldn’t play the sport he loved. The after effects of the disease are just as bad as being told you have the disease,” said Kaye. A large scar and the mechanical clicking of his new heart valves are now a constant reminder of his new life. 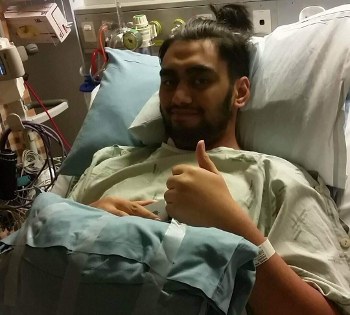 In September 2017, Vili underwent open-heart surgery to replace his two damaged heart valves with two mechanical valves - the result of a severe case of RHD. “We knew there was something wrong four years ago when we brought him into the clinic with a fever, rash and sore joints,” recalled Kaye. Now Vili faces a lifetime of doctor visits, medication, blood tests and monitoring. It has been seven months since his surgery and he is slowly coming to grips with his new life. His mother is a big part of that change - "I said to him, look you can’t keep thinking that your life is over, that your life stops because you can’t play sport. You have to see the bigger picture. You’re still here. There other things in this world that you’re meant to do. The faster you accept that, the faster you can move on," said Kaye. It has been a big change for Kaye and her family as well. “Your whole life changes. I felt like my whole life just stopped but after that day in his room, I thought, I can’t sit here and not do anything, especially knowing that there’s other young people going through the same thing,” she said. Kaye is interested in starting a connect group for individuals and families living with RHD. If you are interested in joining a support group such as this and would like to get in contact with Kaye, please send us an email at info@rhdaustralia.org.au. Without treatment, acute rheumatic fever (ARF) can lead to serious complications such as RHD. There is no single test to determine ARF. Diagnosis can be difficult, especially for those not familiar with the illness. To help with diagnosis, RHDAustralia has developed an app to assist clinicians with this complex diagnosis. You can download the app here. Aboriginal, Torres Strait Islander, Maori, and Pacific Islander people are up to 20x more likely to die from ARF and RHD than non-Indigenous people, so it’s important to take note if people with this background present at the clinic.